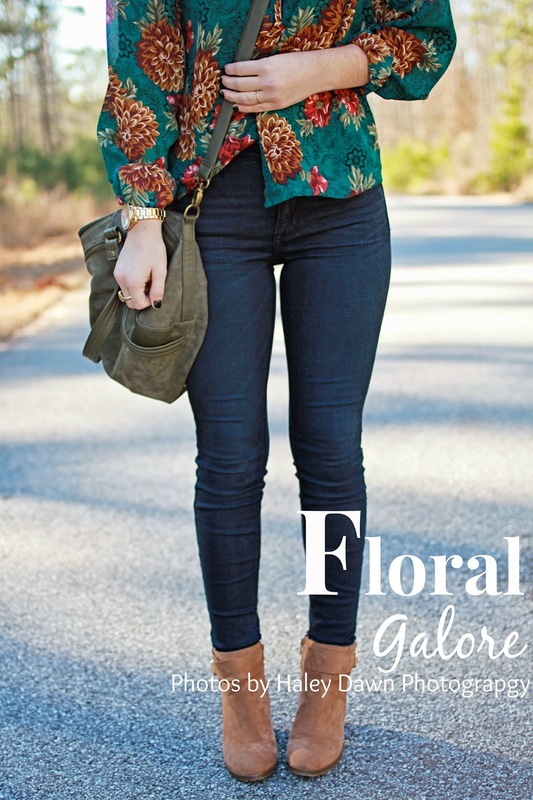 The name "Floral Galore" says it all. In my opinion, you can never own too many floral shirts. I believe it is a style that will never fade. I happened to find this blouse at a thrift store awhile ago and had to have it in my closet asap. Funny thing is, this blouse was probably really popular back in the 90's, but I am bringing it back! The high neckline along with the flow of the shirt gives it a more classier look. I paired this blouse with dark high wasted jeans to help the blouse catch your eye. Adding these tan suede booties completed the look because they matched exactly to the tan floral print in the blouse. I always love a comfy, relaxed look for a casual day and this outfit is the perfect one. Needless to say, you can never underestimate a thrift store!